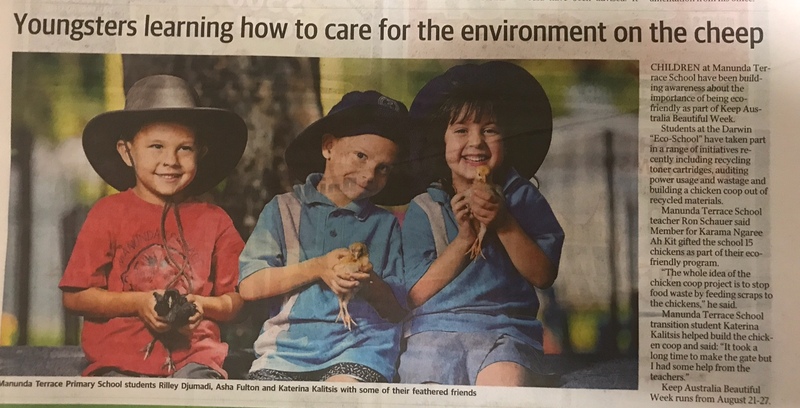 Great write up in the paper about Manunda Primary School in the NT that is an Eco School. They have a range of initiatives including recycling toner cartridges, auditing power usage and wastage and building a chicken coop out of recycled materials. To find out how your school can be part of the world wide Eco Schools program, click here. It’s free to sign up!